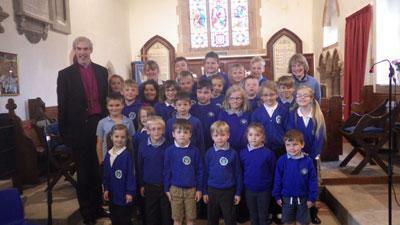 On Wednesday 29th June the children took part in a special service for Saint Peter’s Day. This was to mark the 150th year of Saint Peter’s Church. We had a special guest Bishop James who joined us for the service, he also told the children two stories about Saint Peter. The stars of the show though were the children. KS2 children performed a play about Saint Peter we had some excellent acting. The play had a funny twist to it which proved to make everyone laugh! 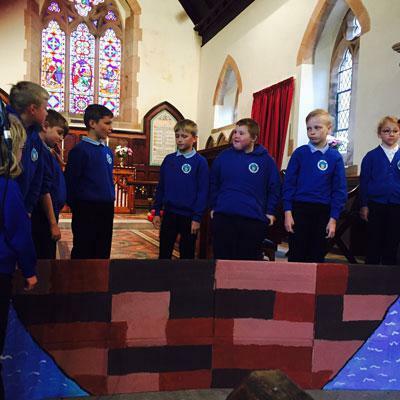 We also sang 5 hymns and class 1 performed the actions to Peter, James and John who went out fishing. Bethany and Max both closed the service with a reading. Bishop James and Sarah Lunn said a few words, and thanked the staff and children for their hard work especially Mrs Elstone for making the script. The Friends of the school provided drinks and refreshments after the service. Mrs Smith thanked parents and friends for coming to join in the celebration.